Whew – hope everyone else is as busy as me. Fun times due to “black friday” and launching so many new projects. It amazes me how many awesome domains are still available for reg fee. Been able to pick up some great ones for non-gaming projects that I have planned. Spent the last 7 weeks cleaning up my “to do” list – everything that I needed to do but have been putting off. Article updates, website changes etc – everything = done. Domains sitting there I know I’ll never do anything with? Got rid of. Websites that are badly in need of a complete overhaul or are completely out of date? Merged with my bigger sites to help them. The peace of mind it’s given me is great, and I’ve got so many projects I am excited about working on oevr the next few weeks. I’m actually thankful for Black Friday – it’s given me the motivation I’ve been lacking since I took last Summer off. I’ve got so many great articles planned for Affiliate Bible and I can actually sit down and write them without feeling guilty about all the work I’m putting off! 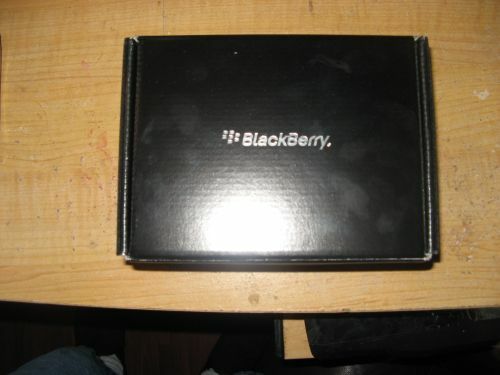 Wanted to write a quick post to send my props to RIM(Research in Motion), the makers of Blackberry. In the same week where it would cost me $35 to get my under warranty $20 PS3 remote fixed by Sony, it was nice to see a company that actually gets it. I’ve owned a Blackberry Bold 9000 for a year or so now. I chose this over iPhone or Android because I just am not a fan of touchscreen phones. I wasn’t disappointed. The keyboard is amazing and has saved me so much time – I’ve written many articles on it, and am writing this article on a Blackberry right now. The future of smartphones is apps, and one really disappointing thing about the Bold 9000 was it couldn’t hold many apps. Even a few apps and my Bold was freezing up constantly. This was an obvious concern because what if there was an emergency? Then I have to sit there for a few minutes unable to call 911 because of the little black timer, all because I wanted to have a sports scores app and a facebook app? So I wrote all this to RIM. I explained that I didn’t want to pay $300 for a new Blackberry like the Torch because in a few months their new models will be coming out, which should be totally sick. I’m Scottish – not wasting money is in my nature! I wrote RIM a letter, explained the situation I was in, and basically left the ball in their court. They’re a big company – if they wanted to ignore my letter they could, and it wouldn’t affect their bottom line at all. 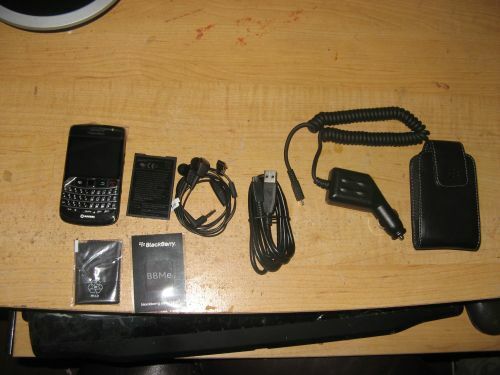 Just like that – a brand new Blackberry with a bunch of accessories. I’ve got about 20 apps on it and it’s running smooth as all hell. Also have OS 6 on it which is absolutely fantastic. I’ve written here previously about the differences in short-term marketing vs long-term marketing, and why the long-term marketing is always the best bet. This is another strong example of it. They could’ve did something nice for me like send me a $50 coupon or something which would be short-term marketing; appease me for now, but not guarantee my loyalty. However RIM stepped up to the plate and hit a home run. They just bought my brand loyalty. The cellphone wars between iPhone, Android and Blackberry are huge, with it reaching out to products other than cellphones. After being treated like this, it’s nice to know I’m “safe” with RIM – and that if I have a problem, they’re going to step up to the plate and take care of me. Furthermore it’s not appeasing me this one time; by doing this they’ve won me over. Bar a disaster I’ll be sticking with Blackberry for all future phones. When it comes to buying any other products where Blackberry have a market share I’ll be giving Blackberry a serious look. The cost of just one phone will see them reap benefits 10x what it cost them, and that’s just from me; the word of mouth marketing I’ll do for them will no doubt bring in new customers. This is something a lot of internet marketers need to think about, especially if you’re building a brandable service. I know many affiliates who don’t even have a “contact us” page – this is crazy. You need to be able to open up to the visitors. For example, one of the most common complaints as a poker affiliate is that non-rakeback players discover rakeback and jump to another poker room and affiliate. Often that is the case – but if you’ve provided an excellent service for your visitors, and opened up a dialogue with them, it’s very likely that they will contact you first to at least see if you offer rakeback. I’ve brought in many players over the years via this means. This article was written on June 11, 2011 however all articles are looked at on a monthly basis and updated to keep them relevant. Hey Businesses – Get Your Twit Together! Are you promoting Poker Table Ratings? Is Online Bingo The Next Big Thing?